Do your homework. The best way to feel comfortable with your little one being away from you for eight to ten hours a day is by first thoroughly researching the local daycare facilities and preschools. Knowing that the facility you chose suits the needs of both you and your child and is as highly-qualified as possible, will allow you the peace of mind it takes to entrust others to care for your child. Introduce your child to his/her new caretakers. Visit the teachers and staff beforehand; spending time to acclimate your son or daughter to both the surroundings and the other children. The more the child becomes familiar with this new atmosphere, the less time they will need to adjust when you are not there with them. Take pointers from other parents. Parents of children the same age as yours can be a great resource. Get to know them and find out how they’ve dealt with the challenges. Take pictures. During these visits take pictures of the playground, classroom, lunchroom and other areas that they will be using on a daily basis. Use these pictures at home to create opportunities for conversations, answering any questions they may have in order to further familiarize them with what will be expected. Establish a morning routine beforehand. Start with the new routine a week or even two before the big day in order to get them used to waking, dressing and eating early. Give them a job that makes them an important part of getting the family out the door on time. Make them feel important. Get a special backpack or lunch box that is just for them, one that only “big girls or boys” get to handle. 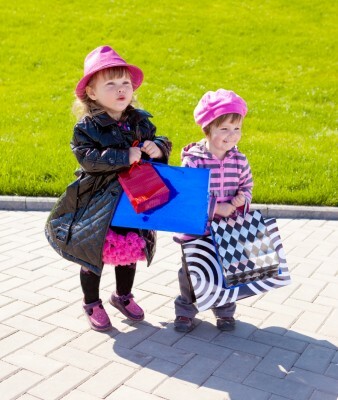 Have them help pack it the night before to establish that they’ve earned their special day and get to help decide what they take to daycare, explaining any rules that may keep them from taking certain items like blankets or stuffed animals.